A comprehensive kit starring Omorovicza’s best-loved product line-up, this is just right for stowing in hand-luggage to rescue your skin whilst in transit. Queen of Hungary Mist purifies, tones and protects, as well as enveloping you in a (pleasantly) fragrant haze; Illuminating Moisturiser is antioxidant rich, to protect your skin from environmental aggressors (prevalent in the artificial aeroplane atmosphere); Rejuvenating Night Cream is a rich, intensively nourishing cream that replenishes moisture whilst you slumber and Thermal Cleansing Balm is a gentle yet ultra-effective cleanser that dissolves make-up and grime whilst purging your pores of impurities. This is called ‘Essentials Kit’ for a reason, and comes with Ruth Crilly’s (A Model Recommends) jet set seal of approval. A must-have for the jet set Omorovicza aficionado, Essentials Kit also makes a wonderful introduction to this beautiful brand. Featuring travel sizes of Queen of Hungary Mist (30ml), Illuminating Moisturiser (30ml), Rejuvenating Night Cream (15ml) and best-loved Thermal Cleansing Balm (15ml) – all housed in a signature blue patent-leather bag, together with super-soft cleansing mitt – this contains everything you need to keep skin feeling soft, supple and hydrated, wherever you are in the world. 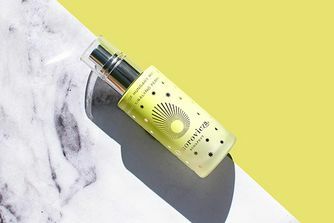 Suitable for all skin types, Queen of Hungary Mist makes a brilliant in-flight skin refresher (and soul up-lifter), while Rejuvenating Night Cream helps counteract the dehydrating effects of the plane cabin atmosphere. The perfect travel companion (this doesn’t snore and it won’t start crying). Not only are the products great, the cosmetic bag is perfect for travelling. I liked all the products. Rejuvenating Night Cream is quite heavy, so if you have an oily skin, maybe it's not for you. But as for me, I think it's great to use in winter. Definitely will buy it again! I'm in love with this brand. I really enjoy all the products! I will definitely look for the full size of the cleansing balm!